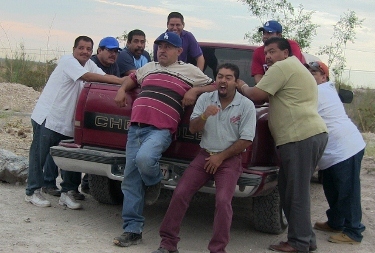 A group of the golpeadores (goons) take a break on their pickup in the mine’s parking lot during the union election. Paul Bocking is a secondary school teacher, union activist, amateur filmmaker and community organizer in Toronto. He is completing is Doctorate in Geography at York University in Toronto, Canada, studying teachers' work and neoliberal education policy in North America. Very nice description of what neo-liberalism and globalization mean at the local level. Why would a huge corporation go out of its way to irritate the local community whose land it is profiting from? The pattern always seems to be that the corporation takes a zero-sum attitude (profit requires repression) even when the requests of the local community are, as in this case, minimal. Do corporate leaders reason that any concession will start a chain reaction leading to…what? a return to Neolithic times or something? It would seem to me that finding a compromise would almost always be cheaper for an international corporation than picking a fight with a little village. 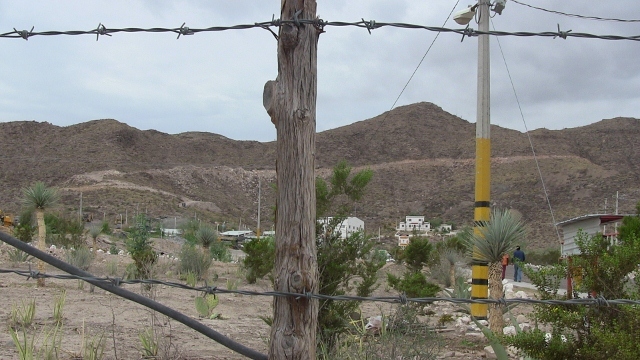 That group of people you called Goons, are actually staff members of the Mining Union of the Naica mine (Peñoles). Several years ago, Excellon used to send the ore to Naica mine mill to be proceced. Thanks for the exposé, Paul. It’s incredible and shameful that Canadian mining corporations can operate this way under the radar, violating human rights and ignoring the most minimal attempts at negotiating reasonable working conditions and viable community relations with the surrounding village. When do our mainstream media report these events? Why isn’t the president of Excellon held to account? Canadian mining companies are ruthless and parasitic in their destruction of the surrounding environment and the safety and health of developing world communities. We Canadians need to speak out.